Distracted drivers plague South Florida. A recent report released by Everquote, an online insurance firm, shows that Florida ranks second to worst for distracted drivers on the road. Injured by a distracted driver? Contact our Personal Injury Lawyers today! The study, which was conducted through EverQuote’s motion-sensing Everdrive app, logged 2.7 million vehicle trips throughout the United States. It measured driving behaviors such as; sudden acceleration, speeding, hard braking, and other aggressive movements while motorists were using their cell phone. The study found that more than 90 percent of drivers polled used their cell phone while driving and ranked Florida second worst for distracted driving, according to their point-based analysis. According to Florida’s Department of Highway Safety and Motor Vehicles, almost 50,000 car accidents were attributed to distracted driving last year alone. These accidents amounted to roughly 4,000 serious personal injuries and over 200 wrongful deaths to Florida drivers. However, State Officials believe these numbers may be on low end. People generally don’t admit that they were on their cell phone just prior to their accident. Even further, The Florida Department of Highway Safety & Motor Vehicles lists 379,928 as the number of total car crashes in Florida for 2017 which resulted in 2,777 fatalities (down from 395,860 total car crashes and 3,177 fatalities in 2016). The AAA Foundation for Traffic Safety found that distraction contributes to 16% of all fatal crashes. Under Florida law, police are prohibited from pulling over a driver specifically for cell phone use because texting while driving is not a “primary offense“. This means that officers must cite other driving offenses before adding distracted driving to the ticket. Florida, is only one of four other states (Iowa, Nebraska, Ohio, and South Dakota) where police cannot pull over motorists for texting while driving as a primary offense. This may soon change. Florida House of Representative Emily Slosburg is pushing for this change. Shas co-sponsored a bill that would make texting while driving a primary offense. It is believed the enhanced legislation will help to curtail cell phone use while driving, limit distractions, and thus decrease car accidents in the state of Florida. As personal injury lawyers, Shamis & Gentile, P.A. 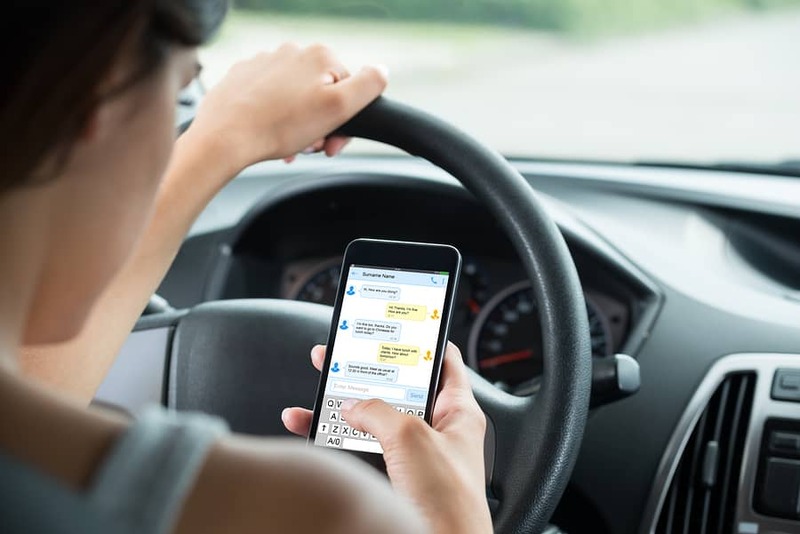 litigate accident cases on behalf of Florida’s injured drivers and have discovered distracting driving to all too often be the cause of the injury. If you were involved in a car accident, our personal injury lawyers will investigate your case, and may help you obtain the compensation you need for damage done to your person and property. To schedule a free consultation and case evaluation with a South Florida Personal Injury Lawyers, please contact us at (305) 479-2299, email us, or fill out a contact us form. We look forward to hearing from you and will vigorously advocate on your behalf for the compensation you deserve.